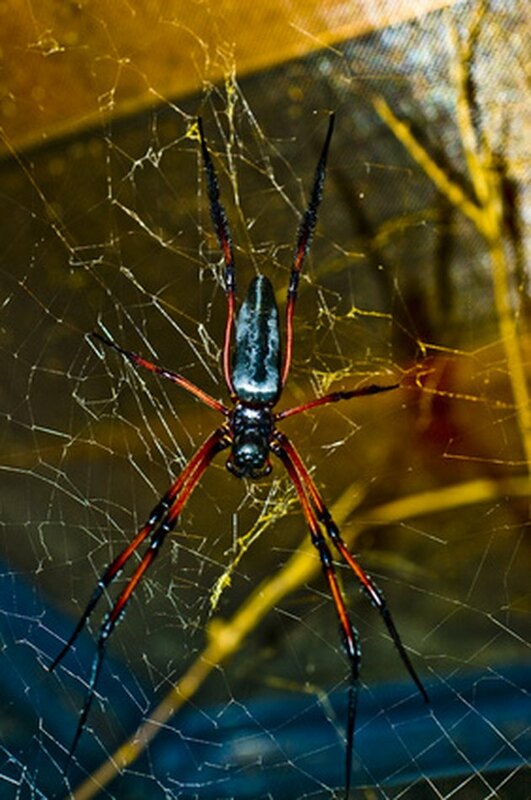 Spiders commonly build their webs in unwanted places and are considered a pest to many homeowners as a result. They are often found in wood piles or in gardens, but also thrive in homes and buildings. According to the University of Idaho, a wide variety of spiders, including the house spider and the black widow spider, are commonly found under house eaves. Combine a variety of different methods to successfully rid your house eaves of nuisance spiders. Rid spiders from under your house eaves with a store-brand insecticide. Attach a spray nozzle to a water hose and spray the area under your house eaves with water to knock down and destroy spider webs, egg sacs and spiders. Spray a liquid insecticide under the eaves and directly at all visible spiders, as most sit in the middle of their web without coming into contact with a surface area. Read and follow all label directions carefully before applying any insecticide to your house. 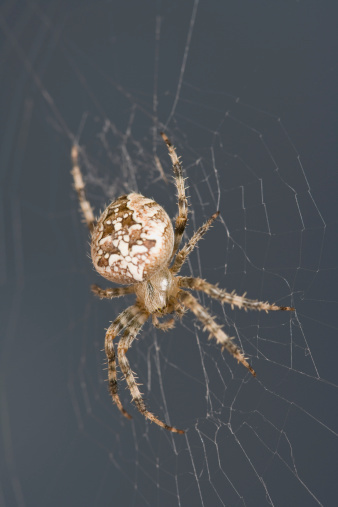 Reapply the insecticide under your house eaves on a regular basis to keep nuisance spiders at bay. 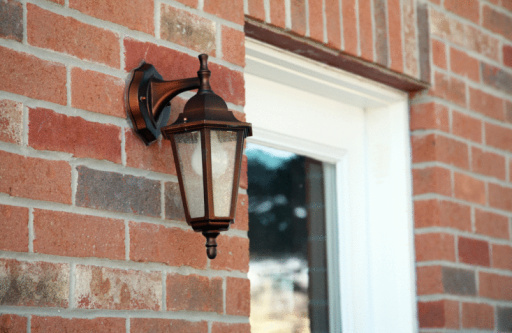 Replace all light bulbs around your house with yellow or sodium vapor light bulbs. 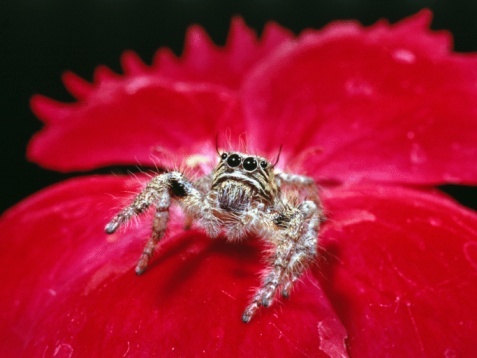 According to the University of Rhode Island Landscape Horticulture Program, using yellow or sodium vapor light bulbs at outside entrances will help reduce night-flying insects which attract spiders.